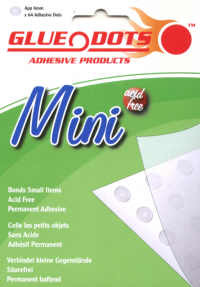 Mini Glue Dots - Permanent adhesive for sticking small items such as rhinestones, buttons or sequins. Approx 6mm diameter. 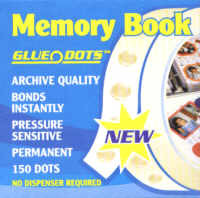 Memory Book Glue Dots - Permanent, ultra thin adhesive for paper layering. 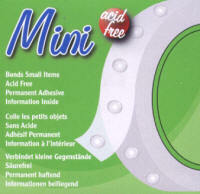 Approx 10mm diameter. 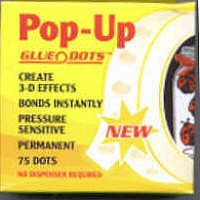 Pop-up Glue Dots - Thick permanent adhesive for creating 3D effects. 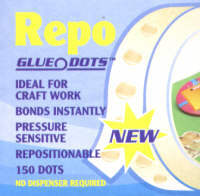 Repo Glue Dots - Repositionable adhesive for temporary bonding. 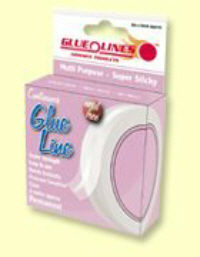 Continuous Glue Lines - 7.5m strong permanent adhesive.